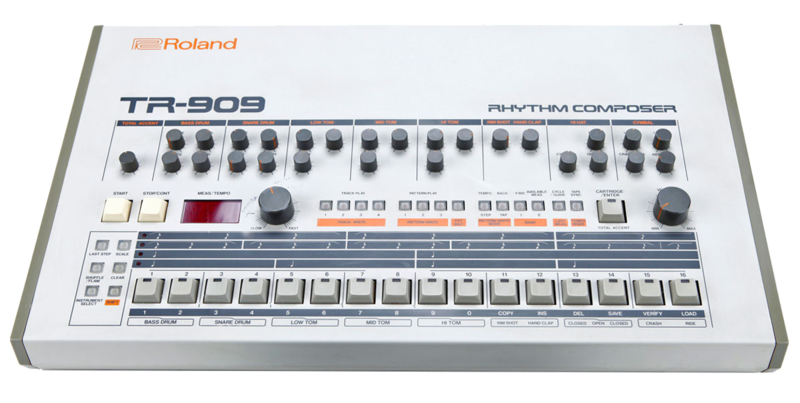 The Roland TR-909 Rhythm Composer is a partially analog, partially sample-based, drum machine introduced by the Japanese Roland Corporation in 1983. The brainchild of Tadao Kikumoto, the engineer behind the Roland TB-303, it features a 16-step step sequencer and a drum kit that aimed for realism and cost-effectiveness. It is fully programmable, and like its predecessor, the TR-808, it can store entire songs with multiple sections, as opposed to simply storing patterns. 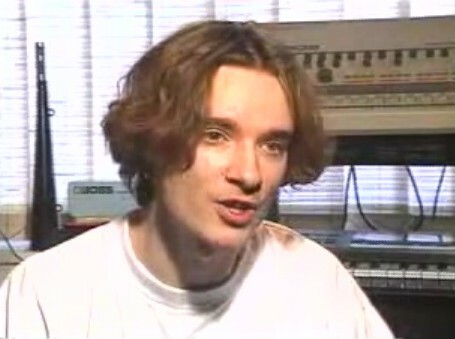 It was the first MIDI-equipped drum machine. Around 10,000 units were produced. All drums except for the hi-hats and cymbals are synthetically generated; there is an oscillator circuit with a dedicated filter and envelope curve. The hi-hats and cymbals are 6-bit samples, compressed and combined with a volume envelope curve (and tuning) to allow slight modification. Thanks to the analog circuitry, various aspects of the drum sound can be modified (pitch, attack, decay). There is also a feature called "accent"—a primitive means of humanizing the drumbeat. In a simplified model of a drummer and a kit, the loudness of the sound created would basically depend on the velocity at which the drummer hits a given part of the kit. A human drummer can emphasize certain notes by playing them louder, and the accent parameter provides a means to boost a particular step. Part of the charm of the TR-909 comes from its 16-step sequencer — the 16 buttons along the bottom of the interface correspond to the 16th notes of a single bar in 4/4 meter. For example, punching the buttons 1, 5, 9 and 13 on the bass drum part would create a simple "four to the floor" beat. Multiple patterns can be grouped or chained together which allows the user to create drum patterns that are longer than one bar in length or, alternatively, create drum patterns in compound meters outside of 3/4 or 4/4. While the sequencer is running, a light runs from step 1 to step 16. This machine is used most of the common dance tracks and you can almost say that this is the standard House and Techno beatbox. Almost in every Experience track! 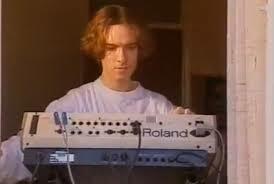 This machine can been seen in many Prodigy Experience videos and sometimes Liam uses it in live shows. These classic shots were taken early 90's when Liam was still living in his dad's house.